West Columbia is a city and commuter town in the suburban eastern sections of Lexington County, South Carolina, United States. According to the 2010 census, the population was 14,988. It is a part of the greater Columbia, SC metropolitan statistical area. West Columbia lies west of Columbia, South Carolina, directly across the Congaree River. 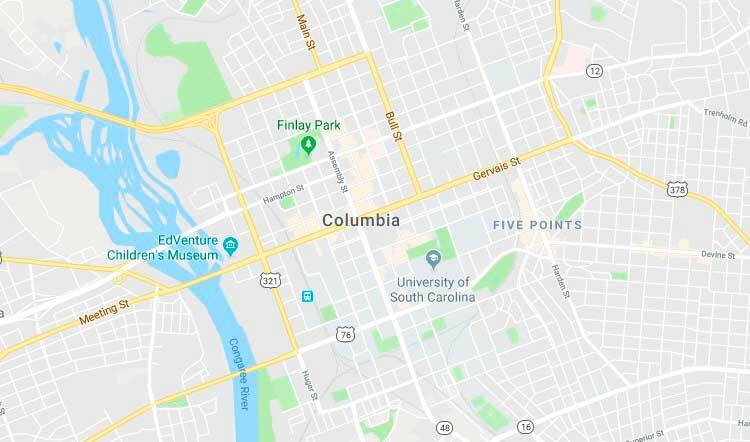 It is near Columbia's city center or downtown district as well as the South Carolina State House and the Congaree Vista, known locally as "the Vista." West Columbia lies to the south and west of the Saluda and Congaree Rivers. According to the United States Census Bureau, the city has a total area of 6.3 square miles (16.3 km²), of which 6.1 square miles (15.7 km²) is land and 0.2 square mile (0.5 km²) (3.18%) is water. As of the census of 2000, there were 13,064 people, 5,968 households, and 3,300 families residing in the city. The population density was 2,150.6 people per square mile (831.0/km²). There were 6,436 housing units at an average density of 1,059.5 per square mile (409.4/km²). The racial makeup of the city was 74.54% White, 19.81% African American, 0.28% Native American, 1.71% Asian, 0.02% Pacific Islander, 2.04% from other races, and 1.61% from two or more races. Hispanic or Latino of any race were 4.66% of the population.